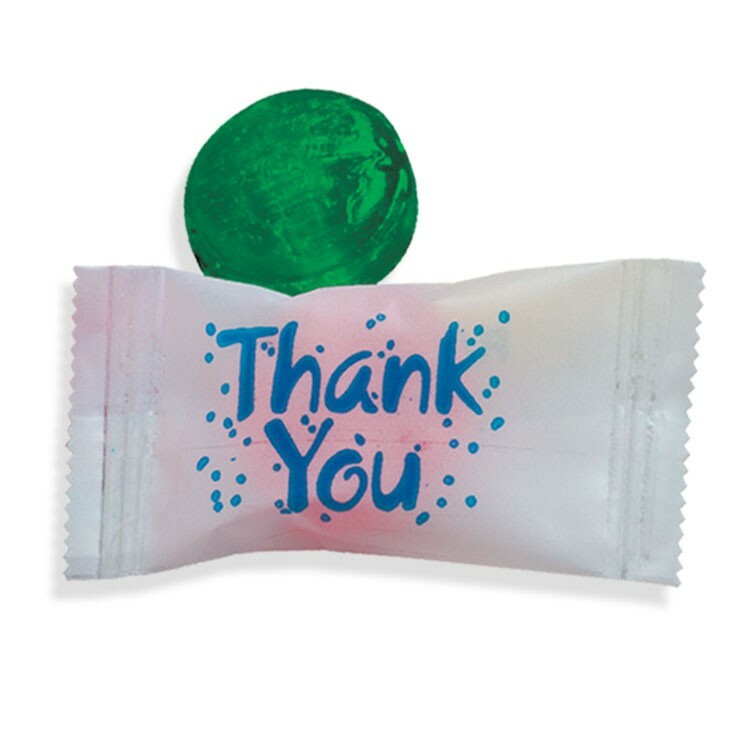 Stock wrapped green striped spearmint candy with Thank You on wrapper. Sold per case of 1,000. Non-melt product.